Just when Creel thinks her troubles with dragons are over and it’s finally time to get married, Velika, queen of the dragons, is kidnapped. 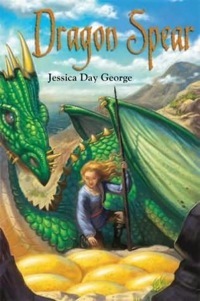 Creel and her friends must travel to a distant land to rescue her, but when they get there, they discover that it’s not just Velika’s life at stake – it’s the future of the entire dragon kingdom. Will Creel ever finish her wedding dress? 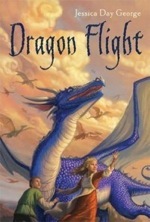 Creel thought that with the Dragon War over, life would return to normal, but all that changes when the kingdom of Citatie declares war on her homeland – led by an army riding on dragons. As the leading expert on dragons, Creel heads off to Citatie to find out how to save her home, but that may be easier said than done, especially when her friend Shardas the Dragon King turns out to be intimately involved in this new war. Every night, the twelve princesses of Westfalin escape from their locked rooms and go dancing, and none of them will – or can – say where they dance. For his part, with the war over young soldier Galen is happy to work as a simple under-gardener in the palace. But as the lovely Princess Rose and her sisters grow more exhausted and despairing, and the country begins to tear itself apart, Galen must use all of his wits and courage to untangle the mystery of the princesses’ enchantment – and just possibly win the hand of Princess Rose himself.